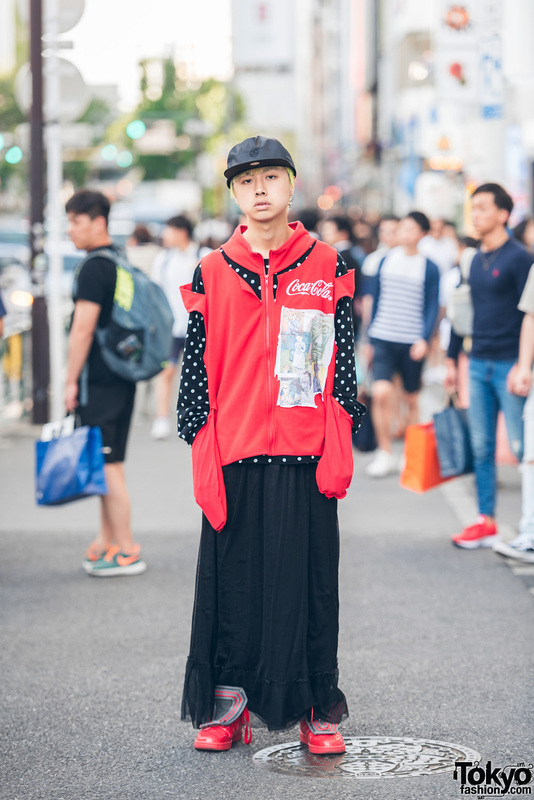 Harajuku neon-haired guy in red and black streetwear fashion w/ deconstructed jacket over polka dot sweatshirt, long ruffle skirt, red statement sneakers and a black cap. Harajuku girl with hat wearing a studded leather jacket over a top and mini skirt, with Coke bag, fishnet stockings, sports socks and ankle boots. 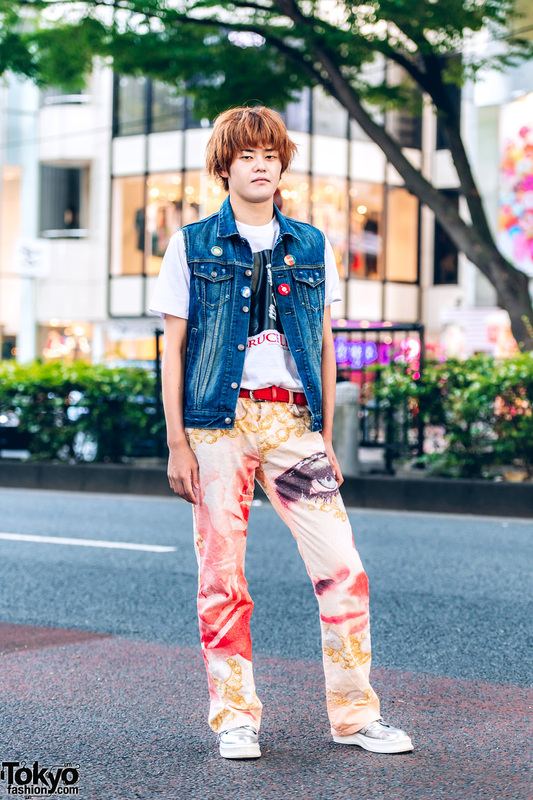 Japanese fashion blogger with short green hair, crop top, graphic skirt, and platform sandals on the street in Harajuku. A smiley Japanese girl in a red double-breasted coat & Dr. Martens boots with a guy in a red cropped jacket and red Coca-Cola t-shirt on the street in Harajuku.